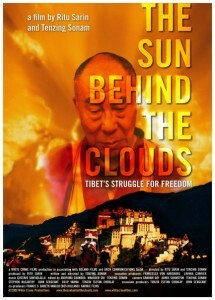 Unlike other documentaries on Tibet, which typically extract from the Buddhist leader stock quotes bordering on clichés, The Sun Behind the Cloudsachieves deeper inquiry. The filmmakers relentlessly mine the intimate access allowed them, bringing into focus the inner conflicts of the Dalai Lama rarely before captured on film. Torn between his position as the defender of his people’s freedom and the global beacon of peaceful living, the Tibetan leader cuts an achingly solitary figure, alone in his indefatigable compassion, alienated in a sea of insurmountable odds.